The news that West Ham have signed Irish striking sensation Leanne Kiernan to their Ladies squad brought a smile to all at VERYWESTHAM. For those who aren't aware, the fan site's name is a play on the fact that it originates from very west of West Ham, Ireland in fact. Having moved from Essex just after the 1975 Cup final, the VeryWestHam crew lived in Bailieboro - Kiernan's home town - for many years before the shift to Munster. The 19-year-old Kiernan has signed from League of Ireland side, Shelbourne, for whom she scored a hat-trick in the 2016 Women's FAI Cup final! In an interview with the club website she revealed "my job used to be at home looking after the pigs, but now things are very different now"
Indeed they are! There won't be much pig farming to be done in East London. 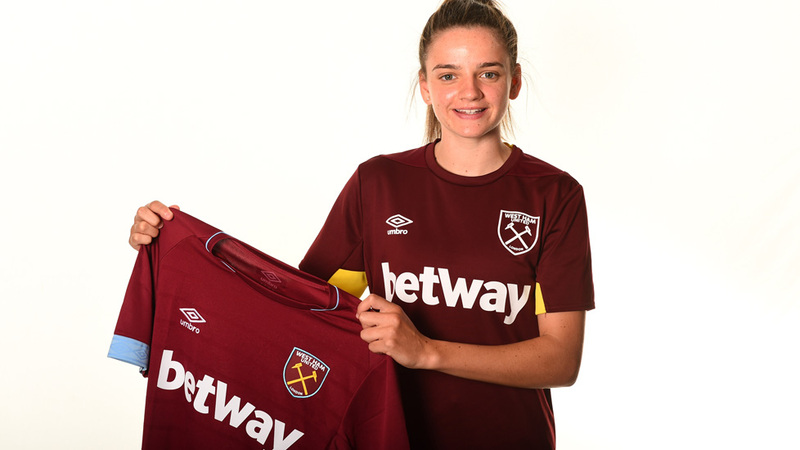 Kiernan follows in the footsteps of ex-Hammer Terry Dixon, who joined the club in 2009 but didnt quite make the jump from the reserve team to the first team. Dixon's Bailieboro connection is via his mother who is a native of the town. Here's wishing Leanne every success and also good luck to Terry next season as he is currently on the books of Aylesbury. 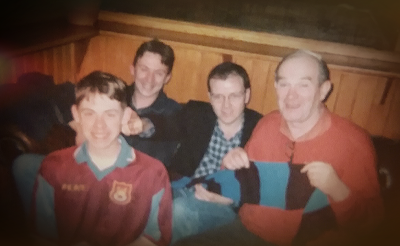 Here's a snap of the VeryWestHam crew making the long trip on the ferry to see the Hammers take on Aston Villa at Villa Park in the early 1990s.